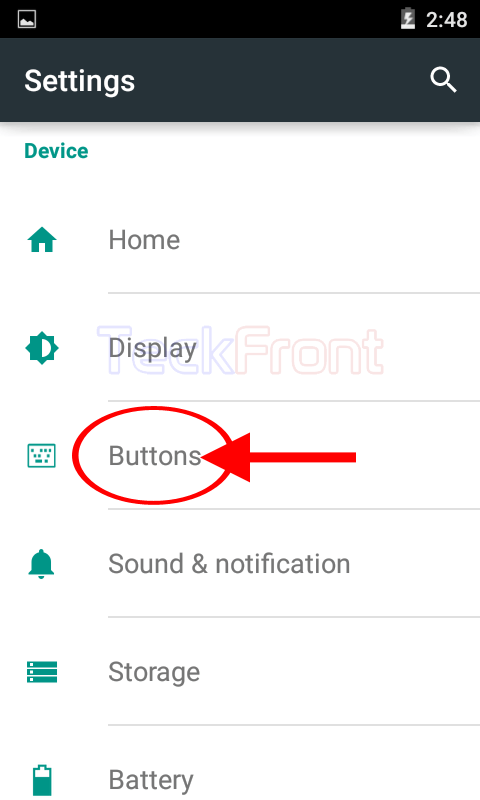 How to Set Home Button to Answer Calls in Android 5.0.2 Lollipop Devices? 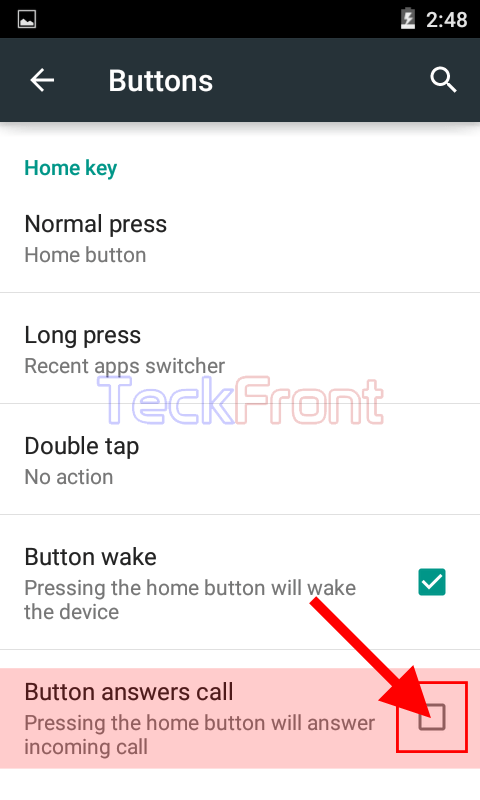 Power button of all Android devices are set to be used to answer incoming calls but you may set other hardware button, as well, to serve the purpose of answering incoming calls. One most common hardware button, which is usually used for the purpose, is Home button. You can enable the Home button to answer the incoming calls but if you need some help, see the instructions. 1: Tap the icon of the ‘Settings’ on the Home screen of your Android 5.0.2 Lollipop device to open up the ‘Settings’ screen. 2: At the ‘Settings’ screen, scroll down to the ‘Device’ section and tap the ‘Buttons’. 3: At the ‘Buttons’ screen, scroll down to the ‘Home key’ section and see the ‘Button answers call’ is not checked, thus disabled. It means currently you can’t use the ‘Home’ button to answer an incoming call. 4: Tap ‘Button answers call’ to check and enabled the ‘Home’ button to receive and answer incoming call. From now onward, you can also use the ‘Home’ button to answer the incoming call. 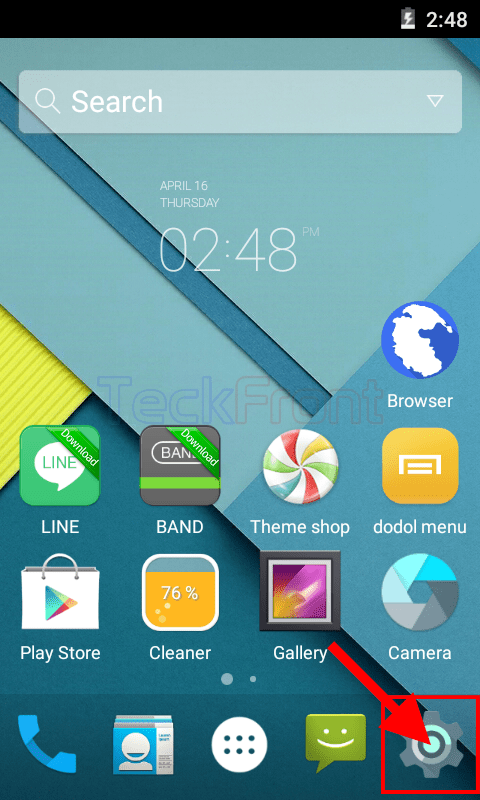 Newer How to Switch ON the Profiles in Android 4.4.4 KitKat Devices? 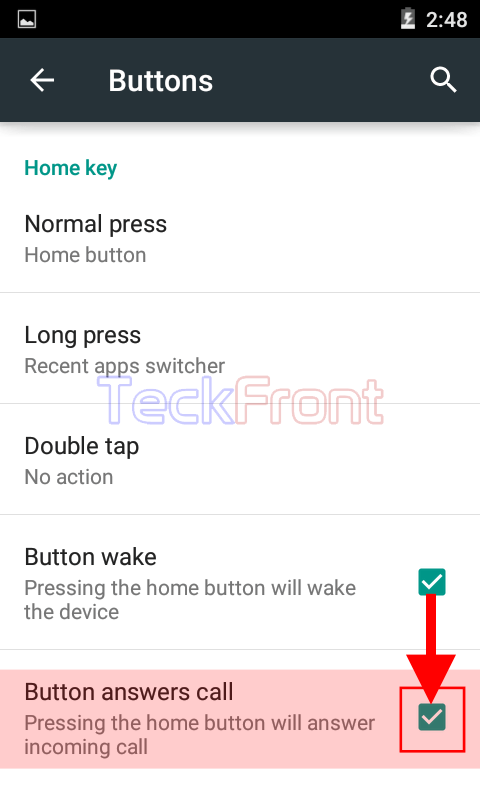 Older How to Set Timer in Camera for Snap Shots in Android 5.0 Lollipop?